South African Rosé, recently dismissed for its quality and semi-sweet bite, is redefining its image in recent years to offer freshness and depth that is comparable to the best in the world. With warmer weather around the corner, there has never been a more fashionable time to pick up a glass of the pink drink. Just in case you need more of a reason, we’ve asked Gareth Robertson of the revelled Anthonij Rupert wines to shed some light on the growth of this summer-time favourite as well as where to get the best glass. Celebrity endorsements have highlighted that Rosé is now considered the chosen wine of the rich and famous. This combined with men taking more of a liking to the blush drink is why, Gareth shares, you will see more Rosé on shelves. For food and wine lovers looking to indulge in the popular wine, the President Hotel will be partnering up with Anthonij Rupert on 26 October to showcase their finest Rosés in a unique culinary journey as a part of the hotel’s Wine & Dine series with a special six-course collaboration dinner, “California meets Cape Town.” Joined by renowned South African Chef, Craig Paterson as well as Maître Cuisiniers de France, Bernard Guillas, of the Marine Room, California, diners will partake in a spectacular night of fine dining and enjoy a delightful ambiance with live music whilst the sun sets on the Atlantic Ocean. Starting at 19:00, the menu boasts an appetising array of fresh and flavourful dishes including a Kreef bobotie, prawn viskoek, scallop with cardamom hollandaise potpourri and dhania gremolata prepared by Chef Craig, king oyster mushroom nectar, 20-year-old royal ambrosante foam, goat’s cheese puff, truffle, and fennel pollen by the hands of Chef Bernard, a Chef Philip classic of hay roasted Karoo rack of lamb with de-hydrated berry crust, organic pea purée and rooibos poached butternut, and more. The six-course collaboration dinner and pairing is available at R650 per person. Seats are limited so booking is essential. 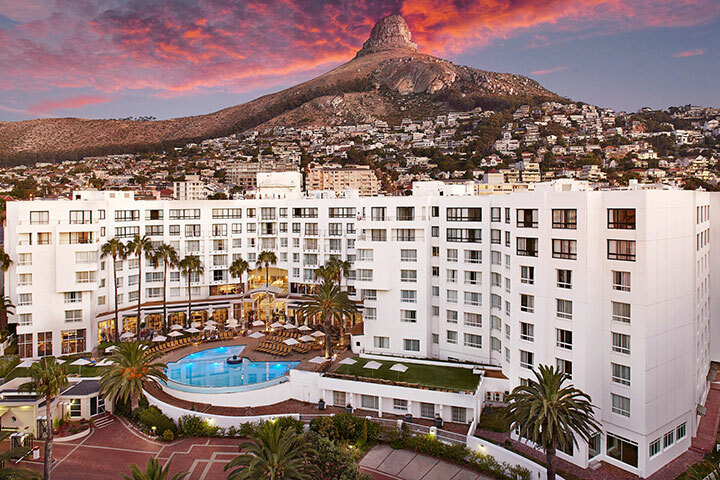 To enjoy more of Cape Town at its finest, the President Hotel is inviting all to celebrate the launch of their new loyalty program with a street style party on 27 October to experience everything hotel has to offer – fantastic food and drink stalls, live entertainment, new spaces, kids’ activations and much more! Entry to the event is FREE but space is limited. RSVP to [email protected] to avoid disappointment.